Electric locomotive class E 44 of the railway company of the German Democratic Republic (Deutsche Reichsbahn). From the electric locomotive series E almost 200 locomotives were put into service in the period between 1932 to 1954. The power output of the axled bogie locomotives was around 2200 kW and the maximum speed was 90 km / h. The locomotive hauled passenger trains as well as goods trains and therefore quickly earned the nickname "girlFriday" "Mädchen für alles". 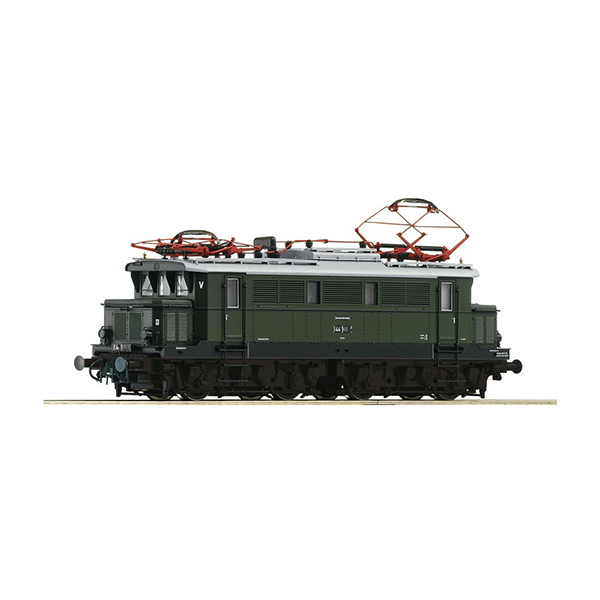 The German Reichsbahn painted the locomotives with an appealing bottle green colour. The chassis of the locomotive initially was kept in black and was later painted red.